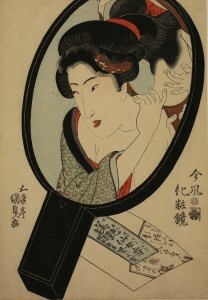 Bijin-ga (portraiture of beautiful women) is the oldest subject of ukiyo-e, which portrayed the ideal female image according to the time period.Among this artwork, in the middle of the Edo Period, a genius of bijin-ga, Kitagawa Utamaro, captured the characteristics and circumstances of women. 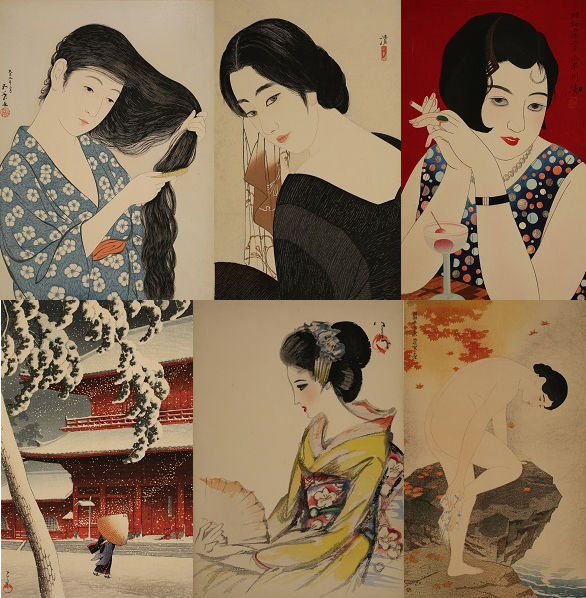 Also, from the end of the Edo Period until modern times, at the same time that the shin-hanga (new type of woodblock print) movement was starting, a new modern and lively bijin-ga was born, inheriting traditional skill and beauty. 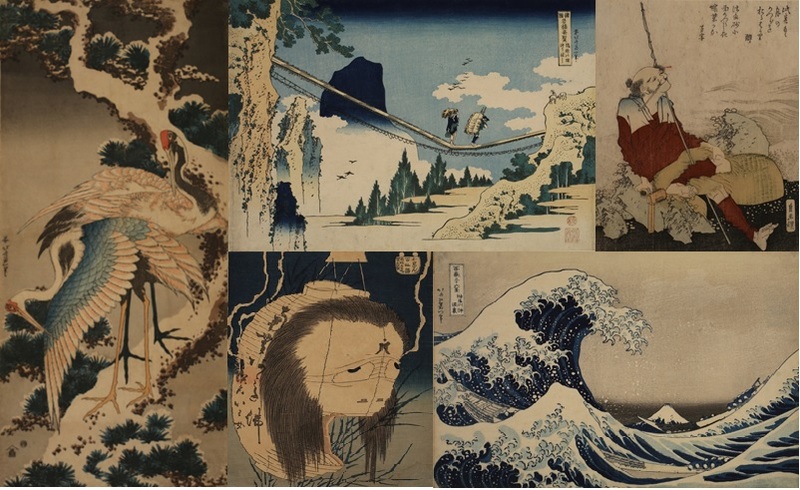 This time, we present Katsushika Hokusai, drawing all things in nature. 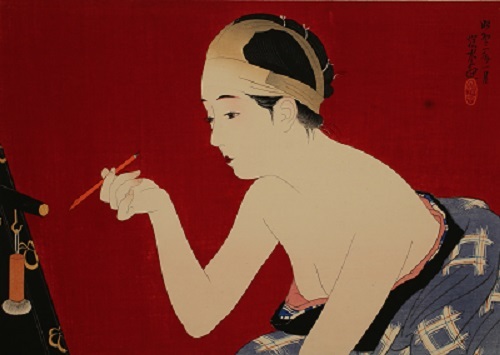 He published over 30,000 works in his lifetime, and has influenced renowned artists around the world. 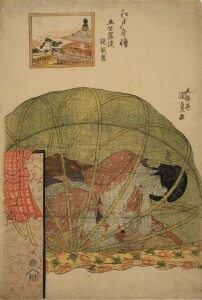 During his career, Hokusai changed his names about 30 times and reportedly moved house 93 times. 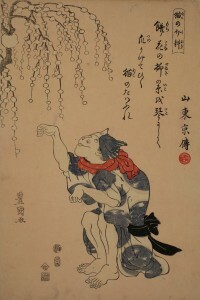 Also, he really came into his own as a painter more and more after reaching the age of 70. It seems that at the age of 80 he lamented his poor ability to his pupils. 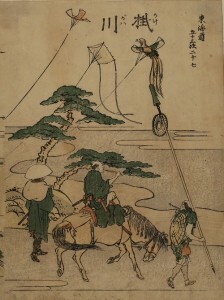 At the time it was rare to live to the age of 90, and dying a peaceful death, it is said that his last words were, “If only Heaven will give me just another ten years… Just another five more years, then I could become a real painter.” This implies that he was yet aiming for further heights. He was simply a genius that gave his life to art. 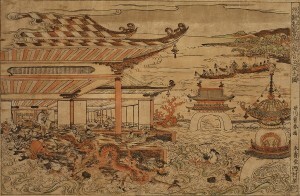 We will follow Hokusai’s artwork in this exhibit. 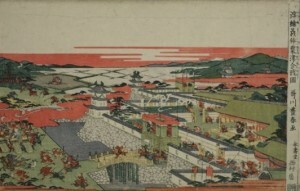 The Utagawa School, starting with Toyoharu, was established by Toyokuni Ⅰ. 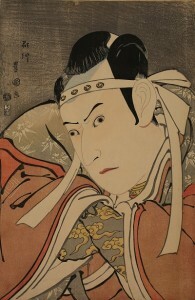 Following the Bunka Era (1804 – 1817), there were more pictures of actors than there were of beauties, and these people were referred to as portrait artists. 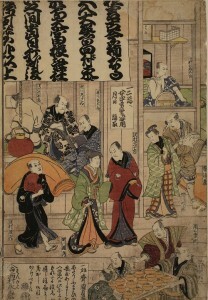 Of the pupils of this school, the masters were Kunimasa, Kunisada, and Kuniyoshi. 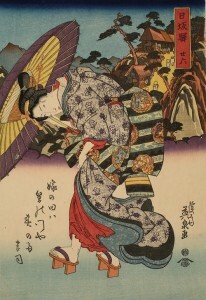 It is said that Kunimasa surpassed his master, ToyokuniⅠ, in close-up portraits of beautiful women. 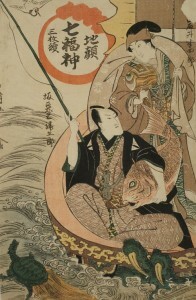 To keep Toyokuni alive, Kunisada, who didn’t have the name “Toyokuni”, being called “Gototei”, was later given the name “Toyokuni III”. 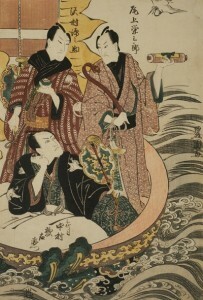 He drew pictures of actors and Edo attractions. 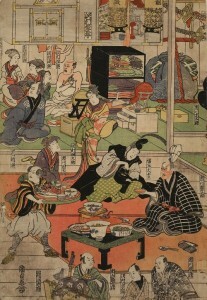 This time, we exhibit a collection of “The Proud Edo”. 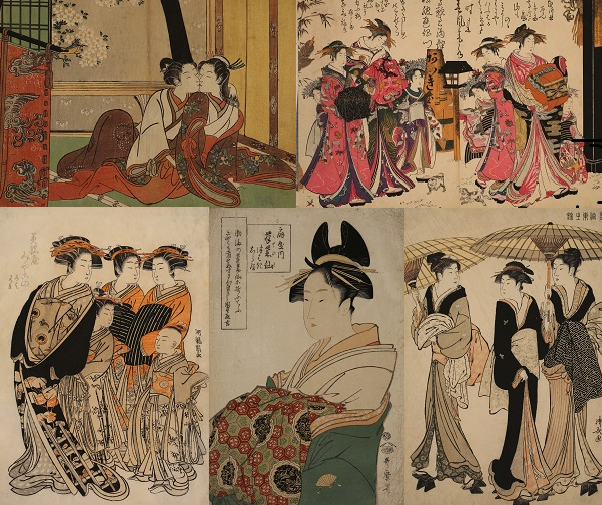 There are all sorts of pictures of flower-viewing in Edo, places with various Edo bridges, life in the backstages of actors, sight-seeing, and things like the red-light district of Yoshiwara. 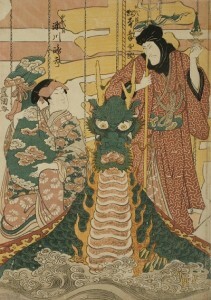 The Special Exhibition introduces Utagawa school-the most prolific school of ukiyo-e artists from the late Edo to Meiji period. 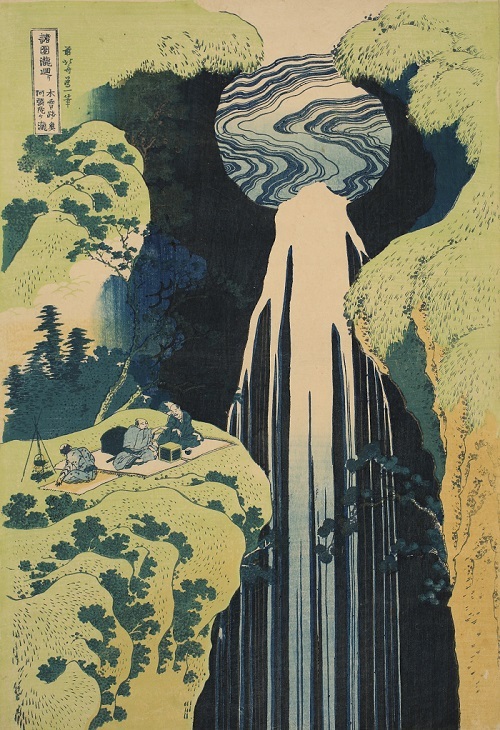 The founder of the school, Utagawa Toyoharu produced prints of beautiful women and actor portraits, but he became particularly famous for landscapes depicted in the western perspective　pictures. 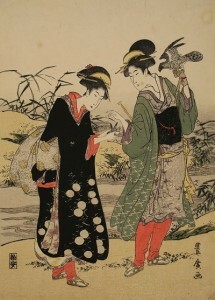 The prosperity of the Utagawa school was established by his followers ToyokuniⅠand Toyohiro. 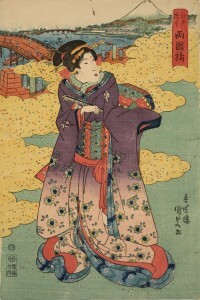 Toyokuni caught the atmosphere of the time and successfully created a new, eclectic style in prints of beautiful women and actors in which balance and harmony were important. 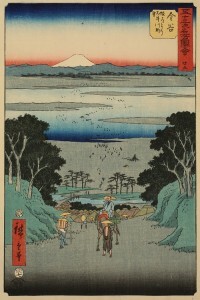 Toyohiro helped the development of the landscape print, which influenced his pupil Hiroshige. This school was so popular that it attracted many disciples. 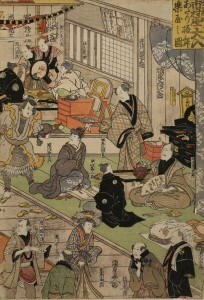 The Permanent Exhibition introduces the “Fifty-three Stations of the Tokaido”, by five different publishers. This time we feature Okabe, Fujieda and Shimada.